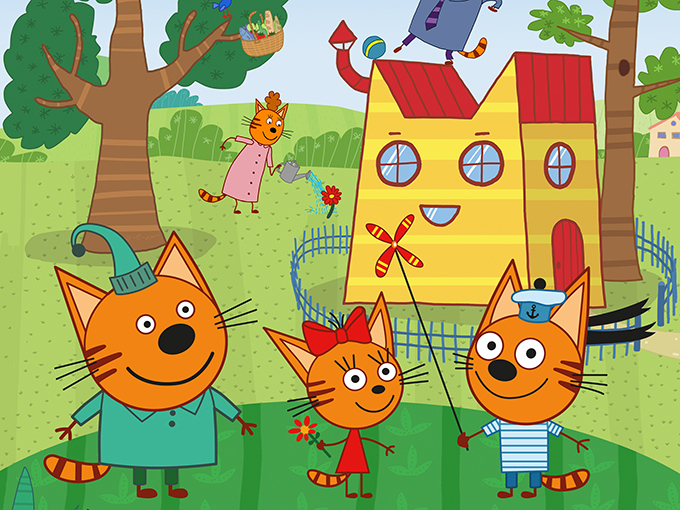 This June, Nick Jr. UK and Ireland introduces viewers to Cookie, Pudding and Candy, three adorable kittens and the stars of the brand-new animated preschool series Kid-E-Cats! Kid-E-Cats (52 x five-minute episodes) tells the story of three adorable kittens: Cookie, Pudding and their kid sister Candy, who are always ready to jump into action with endless enthusiasm and energy. Their imagination knows no bounds, and these kitties create absurdly funny suggestions to solve their problems. Through life’s little lessons, they learn to look before they leap — well sometimes!